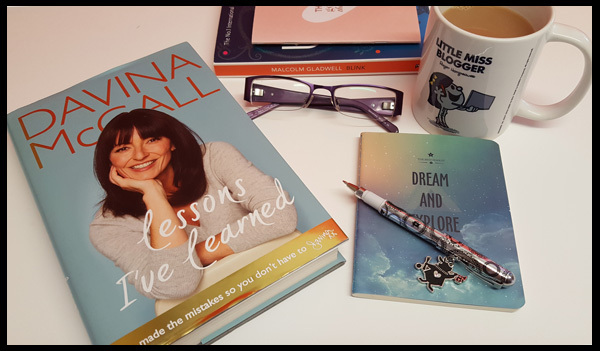 At the beginning of the year I bought Davina's book - Lessons I've learned, but with everything, I've only just got around to reading this book, AND I LOVED IT! The book is written in Davina speak and as such it feels like Davina is having a chat with you in your head as you read the book, telling you all about her life as a child, her addictions and demons, her beautiful family and her career. 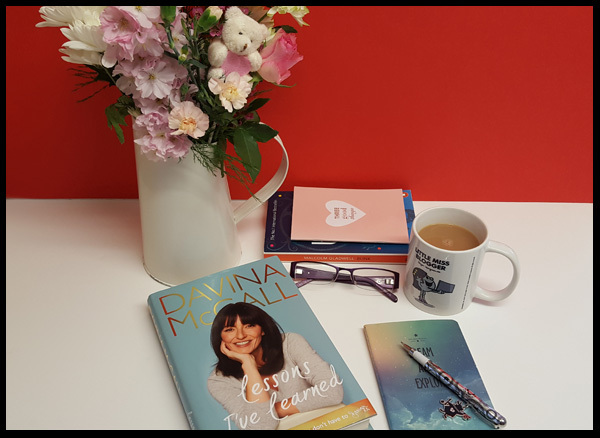 The book is very personal and open and you really get an insight into Davina's world and if you love Davina from watching her on the telly, you truly will not be disappointed with this book. The book is set out as the title says, in lessons that Davina has learnt throughout her life, and makes it so easy to pick up and read a section, which works perfectly for me as my time is so stretched, that said, I did find myself reading large sections at a time, as I just didn't want to put it down. It finishes with a very personal note, on how Davina spent her last few days with her sister, and once read, I just wanted to give her a hug, so raw, so personal, it made me cry! So, if you're a fan of Davina's I highly recommend this book, it's such a wonderful insight into a truly inspirational TV presenter.